At Epsom Dental Centre, we deliver bespoke dental treatment for all of our patients according to your personal circumstances, needs and preferences. Our bespoke care plan is tailor made to meet your needs and is focused on prevention. We provide you with the highest quality dentistry – fully guaranteed. UK and Worldwide emergency call-out insurance at no extra cost. 2 check-ups per year with your EDC Dentist for a full Dental Health Check, including oral cancer screening. 2 visits per year with your EDC Hygienist for assessment and maintenance. Discounted orthodontic consultations with our Specialist Orthodontist. Out of hours emergency callout insurance. UK and Worldwide dental injury and emergency insurance. Becoming a member of our practice is very easy. Simply contact the practice by phone, email or via the website and we will arrange a convenient time for your new patient assessment. Your EDC Dentist will then advise you of the best plan based on your individual needs. 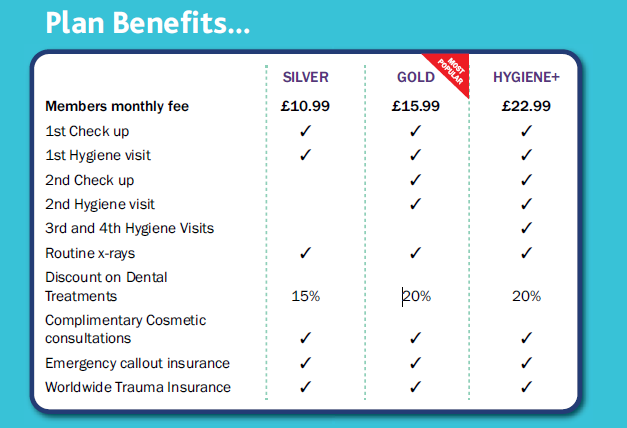 Our reception team will set up the plan and you will enjoy immediate benefits.Children and 18 year olds in full-time education receive dental care free of charge. If you have any questions regarding membership at Epsom Dental Centre, please contact one of our friendly team who would be delighted to assist you.